Simple and elegant, burlap wreaths are easier to make than they look! It could be because burlap is inexpensive and easily available, or due to the fact that it’s so gorgeous in its simplicity. 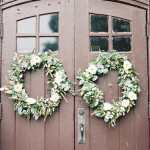 Burlap wreaths can be used anywhere in a home – on the walls, mantel, or front door. 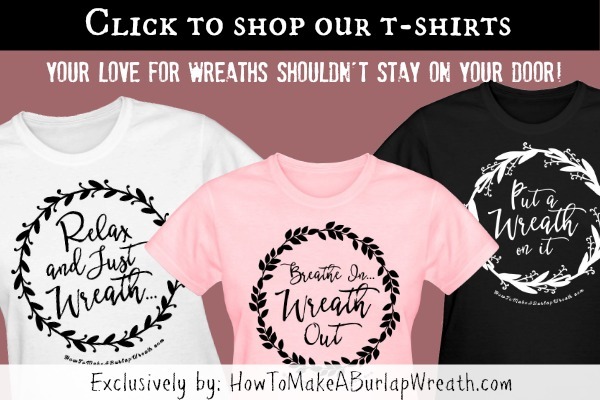 The beauty of burlap is that it can be used to make a myriad of wreaths. 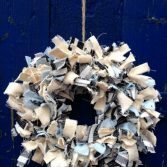 In this project, the wreath is made using burlap swatches and is more striking than the standard burlap wreath. 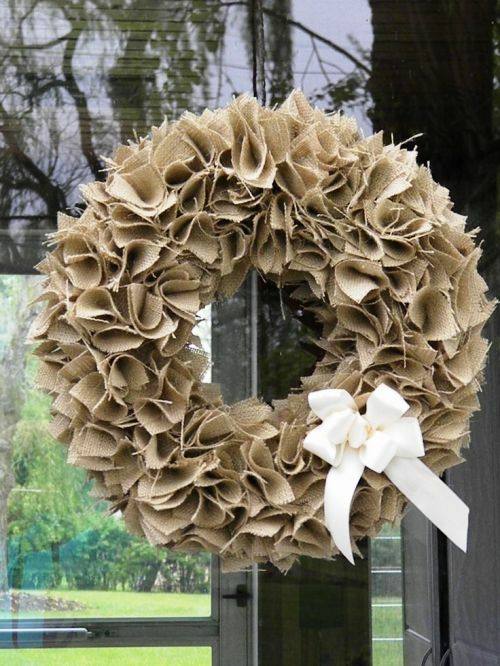 Use these instructions to make your burlap swatch wreath. Burlap wreaths made with swatches. Watch the how to make a burlap wreath video here. Cut the burlap into squares. Make sure they are of the same size. When you have enough squares to fill a wreath, fold each in half to make a 4-layer square. Apply hot glue to the tip of the square. 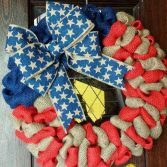 Affix the swatch to the wreath and hold it until it sticks. Put more squares on the wreath and alternate the direction each time. Leave a little space between the squares. Use the glue to join neighboring squares. This prevents the wreath from looking messy. To make the wreath look fuller, puff and separate corners. Cut unfastened strands on the swatches. 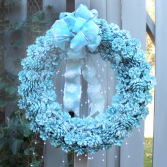 Make a bow with the ribbon and attach it to the wreath with hot glue. Loop some ribbon through the wreath and hang it on the wreath hanger. 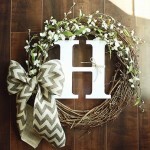 Burlap wreaths are stylish and trendy and can be used in a home any time of year. They brighten up spaces in an instant. 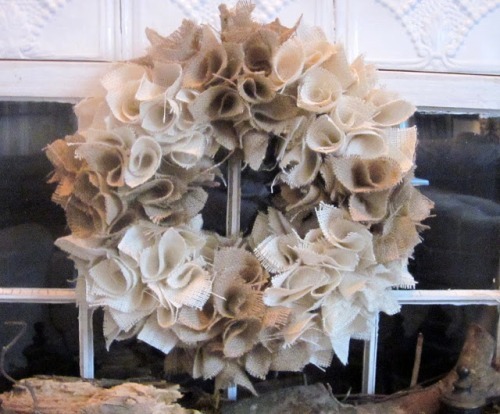 Refrain from buying a premade wreath and make your own this fall. With these instructions, the task won’t be too hard. The project requires only a little time and money. 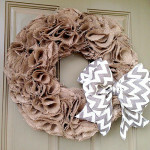 Hang your burlap swatch wreath on your front door so it can be admired by all who pass by. When the holiday season comes, simply update your wreath to reflect the season. 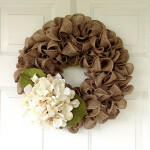 For more burlap wreath tutorial ideas, click here. Wow, I love this. So cute and creative. (Pinned!) I would love to have you post on my blog hop—the Weekend Blog Hop at My Flagstaff Home (www.myflagstaffhome.com). It begins on Thursday evenings and lasts through the weekend, if you’re interested.